As a provider of visual assessment technology, Zistos looks at every application from a cost-benefit standpoint, comparing them in cases where remote visual inspection tools were used, and when they weren’t. The outcomes are completely different. In the first case, an undiscovered foreign object and resulting contaminant found its way into a large storage vessel used in the manufacture of a food product. Previously, a visual inspection was done by an inspector who could only peer into the fill opening of the vessel with a flashlight; he wasn’t allowed to enter the confined space for both safety and sanitary considerations. Unfortunately, the inspector did not have the benefit of remote visual capabilities of a camera inspection tool that could have been safely inserted and maneuvered in the space. The contaminant was not detected leading to final cost total of between $350,000 – $400,000 for remediation of the contaminant and damages including plant shut down expenses. The use of a Zistos remote inspection tool, such as the IA-PSW-A14Z Industrial Zoom Inspection System, would have easily seen the problem and would have paid for itself many times over with its very first application by saving a costly remedy to an avoidable problem. In another case, a cost analysis was conducted on the use of this video inspection tool to inspect materials and equipment in a confined space – without the need for a confined space entry. The analysis of the savings, by avoiding unnecessary, dangerous and expensive confined space entry operations yielded a return on investment for the equipment after fewer than 45 hours of use. This analysis did not factor in any consideration to job injury or disability claims from confined space accidents. It also did not factor in any residual cost benefit of a preemptive repair or remedy following the inspection. Proactive visual assessment technology from Zistos pays for itself over and over, potentially on the very first application. To request immediate information or a product demonstration, click here. 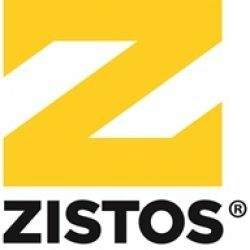 For over 12 years, Zistos has employed leading edge technology, innovative design, manufacture and sale of purpose-built tactical surveillance, search & rescue, counter terror & search, and industrial inspection products. Previous PostPrevious This revolution in tactical surveillance is invisible.